Blood Suckers 2 Slot - Play the most anticipated NetEnt slot of 2017 free! NetEnt, unlike many slot game manufacturers we could mention, aren’t really known for going in for sequels to their games. Even when it comes to cloning, that’s usually reserved for special editions of games such as the Flowers Christmas edition. Some games, though, just demand a sequel and one such slot was definitely the vampire-themed Blood Suckers mobile slot. Beloved by fans despite many technical issues and hated by casinos for its ridiculously small house edge. NetEnt clearly felt that if the game, flawed as it was, garnered such a fan following, then surely a modern HTML5 version which addressed the issues of the prequel could be a massive hit. Early signs on the new Blood Suckers 2 slot game indicate they weren’t wrong, this is a stunning visual feast which hooks you into the theme right from the opening screen. It’s properly character driven this time with a female vampire heroine on a hunt to retrieve a lost ancient family treasure. 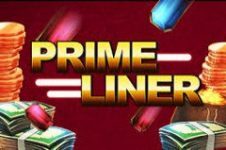 Gameplay mechanics have been given a refresh as well as the visuals, with a progressive instant win feature containing some novel tricks and a potentially very lucrative free spins game. Will this game be biased as much in favour of the slots player as the original Blood Suckers game or, have NetEnt watered it down on re-release? Journey into the crypt with us and find out! As with almost all the new HTML5 based slots in the NetEnt range which replace the previous flash titles, this is a fixed payline game. There are 25 lines in the Blood Suckers 2 slot with a bet level ranging from one to ten levels and a coin value up to one credit per level. This is more important than other NetEnt slots due to random features which pay out a multiplier of the current bet level selected on the coin system. Strategy dictates a choice then of higher coin level to increase line wins or higher bet level to maximise the random feature. Of course, you could take a middle ground too! Stake range is unbelievable with 0.25 to 250.00 cash per spin on the table, NetEnt clearly wanted to open this game up to any and all comers. As you might expect from a NetEnt slot there’s a solid set of control options extra to the main gameplay choices which affect mechanics. You can control sound effects and music independently, adjust graphics for older devices and poor internet connections and, use the configurable auto play settings for bankroll management. The big question answered in the game settings is the RTP which, whilst very high at nearly 97% and still very much in favour of the player, is much less than the 98% on the original game. A design flaw in many gambling industry eyes which saw it excluded from bonus wagering at many online casinos due to the frequent high player wins. Whilst NetEnt could be accused of taking away some win potential in their rebalancing of the game mechanics, there is nothing at all wrong with the work they have done on the theme of the Blood Suckers 2 slot. This is a stunning looking game with a brilliant set of icons and 3D animations to keep you fully immersed in the dark gothic environment. The vampire herself reminds us very much of Kate Beckinsale’s character in the reimagined version of Van Helsing and, we thoroughly approve overall of the design, audio and entertainment factor. The pay table is the first big disappointment on the Blood Suckers 2 slot. Whilst the top symbols do offer some massive wins for full five of a kind combinations and both the scatter and the wild symbols have coin wins for combinations many of the other symbols are beyond weak. Three of a kind on the lowest paying playing card symbol for instance nets you just 0.8x your total stake and with it harder to pick up multiple wins on a single spin on a pay line game than a 243-ways to win slot, you’ll be very reliant on random features to net anything decent in the base game. True, there’s a potential to big up a mini jackpot with five wilds granting 10000 coins but that’s going to be a very rare occurrence. The two random features do compensate a little, with ‘scatter shot’ adding an extra scatter on the reels and all medium win symbols in view paying 10x – 100x the existing stake. ‘Bonus shot’ on the other hand will add an extra bonus overlay on one of the first two reels. 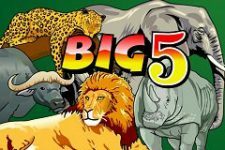 Whilst theoretically the wilds, scatters and random features can produce big wins in the base game, it generally isn’t the case and a decent free spins feature is needed to rack up a big win. 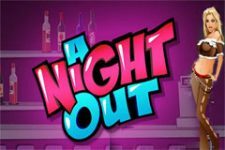 You get ten free spins on your initial trigger in this free spins feature with re-trigger available and a 3x multiplier in effect to finally crack out some decent one-off wins. The secondary instant win bonus is very clever in that it also allows you to win the spins as part of the selection process (Please NetEnt, include this on future slots). It’s progressive across several levels but, sadly that doesn’t instigate a multiplier and several plays of this bonus resulted in 10x the total stake or lower before a demon arose from one of the coffins and ended the game. Overall, there’s a little sadness in-house with the release of the Blood Suckers 2 slot. 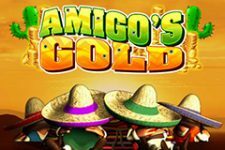 Ok, it fixes all of the technical glitches of the original game, is better looking and arguably more entertaining to play as a free casino game online. However, the high hit ratio and slight reduction of the RTP does seem to have massively diminished the payout potential. Whilst this will please casinos who were nervous of the new game given its history, many old fans are going to feel put off and a little let down. Time will tell if the Blood Suckers 2 slot can attract the same fan following in its new format as the original did. It’s certainly a very enjoyable game and once it loses the stigma of its older brother it may find a niche in its own right.